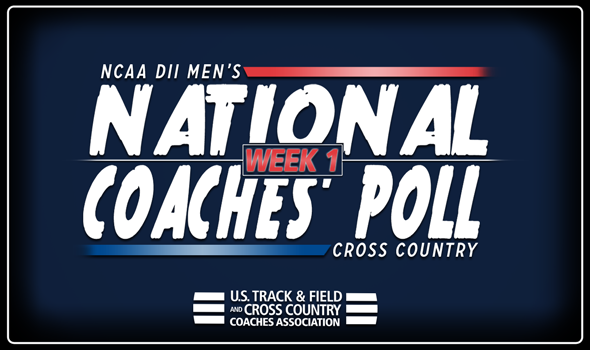 NEW ORLEANS – Adams State remained the top team in NCAA Division II for the second consecutive week to open the year as the Grizzlies collected all eight of the first place votes in this week’s national poll. Adams State is coming off a third-place finish at the Mountaineer/Cowboy Invite after it picked up a win at its opening Joe I Vigil Invite earlier in the season. The Grizzlies have yet to run their full line up this season. Dating back to last season, the team has won five-straight team titles in meets they have ran in. Improving one spot to No. 2 is Colorado Mines who started the year with a victory at the Colorado College Invitational in early September. The group will be back in action with the Fort Hays State Tiger Open on October 13. Slotting in at No. 3 is Grand Valley State who is fresh off a third-place finish at the Spartan Invitational. Zach Panning was the individual winner of the meet as he crossed the finish line in 24:45.5 on the 8K course. Behind them with a one spot improvement is No. 4 Western State who just won its Mountaineer/Cowboy Invite this past weekend as it ran its full unit for the first time this season. The group was led by second-place finisher Taylor Stack who posted a 26:16.83 performance over the 8K course. Rounding out the top-five is No. 5 Chico State who still has yet to run this season. The Wildcats get their year underway with the Capital Cross Challenge on September 29. The No. 6-9 teams all remained pat in the standings as No. 6 Queens (N.C.), No. 7 Augustana (S.D. ), No. 8 CSU-Pueblo and No. 9 Southern Indiana all remained in their preseason positions. The top-10 was rounded out by No. 10 Mount Olive who improved two spots from its previous rank. The biggest improvement of the week belonged to the teams from Missouri Southern and American International who each improved seven spots to No. 13 and No. 16, respectively. Also seeing big jumps with four spot improvements was No. 17 Lee (Tenn.) and No. 20 Edinboro. New to the top-25 this week was No 22 Malone and No. 25 Western Washington. In total 15 of the 25 teams from the poll switched spots from their preseason positions. Also receiving votes were West Texas A&M, Augusta, Cedarville, Shippensburg, Neb.-Kearney and Alabama-Huntsville.